You want to fall back in love with your business & reconnect with why you started it in the first place. You want to be able to market & sell your work in a way that feels natural and true to who you are. You want to stop fighting to be heard in the online noise - without having to be loud, brash or manipulative. You want to start enjoying the freedom that comes from being your own boss. I help creative entrepreneurs find clarity by uncovering the story that’s at the heart of their business. I don't have an MBA and I've never worked in advertising or design, or owned a suit. I'm not slick or salesy, I don't have a business card and I've never given a powerpoint presentation. Instead, I have over 20 years experience working in the arts, publishing and non-profit sectors. I’m also a serial entrepreneur. All hard-edged strategy advice with no acknowledgement that you're a living breathing human being with, you know, feelings, hopes, desires etc. All woo 'manifest your dreams' mindset work with no emphasis on the nitty-gritty 'how to's. Advice that comes from a place of manipulating or pressurising your clients (who are often dehumanised and referred to as 'prospects' and 'warm leads'). It was surprisingly hard to find business or copywriting support that was based around acting with integrity, and balancing hard-headed strategy with considering how you actually want to feel. As I learnt more about how to run my business effectively and in a way that felt right to me, I started to see that I might not have the business degree or briefcase, but I did have relevant experience and skills to work with other women who were making their way in the online business world. In my previous roles, I’ve worked with writers ranging from Margaret Atwood to Ian Rankin, Irvine Welsh and Ali Smith. I ran a limited company carrying out arts project management and events, set up my own small press (running it jointly with the novelist Alan Warner) and for the last six years have run an online editing and writing mentoring company (working with writers including Booker Prize shortlisted Graeme Macrae Burnet). I have walked the walk and know first-hand what it is like to be an entrepreneur, both online and in-person. “I no longer feel like my business is running me. Before working with Sophy I was drowning in doing all the things and unhappy about doing most of them. Now I have a clear strategy and clear steps to get there. Most importantly, it feels easy. The hardest thing I’ve ever done (and also the most rewarding) was to become a parent. My daughter’s birth triggered the development of a chronic illness, which wasn’t diagnosed for several years. As a result, I had no idea why I was so desperately tired all the time. I understood that I wasn’t getting enough sleep, but it was so much more than that. I felt like all the colour had drained out of the world, leaving me trapped in a greyscale existence. I loved my daughter but I felt like I’d lost who I was. I desperately needed time to myself and time with other adults and barely had any of either. It felt like the world was going on as usual and I was stuck behind glass - I could see what was going on in the wider world but I couldn’t touch it or be part of it. This may not sound like the obvious starting point for a business working with entrepreneurs to uncover their stories - but everything I’ve done since has been related to self-expression and identity, connection, belonging and communication. My work is about helping other people find and claim their voice and identity, step fully into it, so they can start blooming into the fullness of what is uniquely theirs to achieve. My instinct for a story can help your business to stand out in a crowded market. Once we uncover the story that's at the heart of your business, you'll be able to express what you stand for with a clarity and conviction that draws your perfect-fit clients towards you. You won’t need to compete on price, because you’ll be in a category all of your own. I also bring a skill-set developed during the two decades I spent working in the books world. I use the skills I honed while working as an editor when I help my clients to do less better. Cutting, simplifying and clarifying are core to the work of an editor, and in my work now, I simply apply those skills to my clients’ business models and to-do lists, rather than to the plot and character list for a novel. "Sophy is substantive, no-nonsense, a deep listener and able to move people along when they feel stuck"
My background in writing and the arts means that I know from the inside out how words and stories work. I was one of those children who was always lost in the world of a book, and it didn't surprise anyone when I did not one but two degrees in literature, or when I went on to work in publishing or when I later became a writing mentor. When I left the cosy arts world to become a business coach for digital entrepreneurs, that did surprise people though. Recently, when my mum moved house and politely insisted on returning everything I was storing in her cellar, I came across my 'Top Secret File' from when I was nine years old. It turns out that, aged nine, I wanted to be a writer, inventor, archaeologist, detective and princess - my current field of work beautifully combines the first four of these elements (and luckily I don't want to be a princess any more...). These days I get to write in my work, but also I get to invent and adapt new models for business and, like an archaeologist, uncover the layers of my clients' strengths, values and sense of purpose to discover the key to what creates their best work. Like a detective, I get to do customer research, to find out what makes my clients' own favourite clients tick. I've never met people more passionate or creative than those running their own micro businesses. I'm constantly inspired by my amazing clients and love that I get to watch them grow and flourish. Now I'm bringing two worlds together - writing and online business - to work as a business strategist, mentor and copywriter. This hybrid of writer, editor, researcher and strategist is an unusual combination, but it means that you get an editor’s eye on your whole strategy, plus copywriting support and brand voice strategy wrapped in with your business mentoring. I look at your business as a whole and how your copy fits into the bigger story you want to be telling. "I would recommend Sophy to anyone looking to feel more themselves in their business, who wants to feel good about the marketing strategy they implement instead of following a mass market-type plan. She excels at being supportive, believing in her clients and allowing them to feel heard. And her copywriting skills are spot on!" I'm here to help you reach a new level of clarity about your business. I can help you get clear, get focused and take action to amplify your voice. You won't need to guess how best to describe what to do, or what services are most valuable to your clients - you'll know. Your clients will become loyal fans and repeat customers, doing much of your marketing for you by word of mouth. You'll be able to show off your expertise and position yourself as the authority that you are. You'll never need to compete on price again. I’m interested in sustainable growth, based on giving your clients huge value for money, zero hype and building a business that works for you and how you want (or need) to live your life at this moment in time. I only take on clients whose work I really believe in, so you'll get my unwavering support to bring out your best qualities and attributes and apply them directly to your business. You'll also get a thought-partner, someone to bounce ideas off, and someone who won't be afraid to ask you difficult questions - and who will help you to explore different potential answers. You don't have to be in this alone - we can be in this together, so that you don't have to keep figuring out every last thing for yourself. Sound good? Well, the next step is to click the button below and find out a bit more about how you can work with me. I loved how she managed to make suggestions which pulled together several threads of ideas I’d already had and turned them into something spectacular which plays firmly to my strengths. I also liked how she pointed out strengths in my business which I hadn’t even realised were there. The whole session gave me a completely new perspective on my business as a whole, and made me realise how small I was playing. 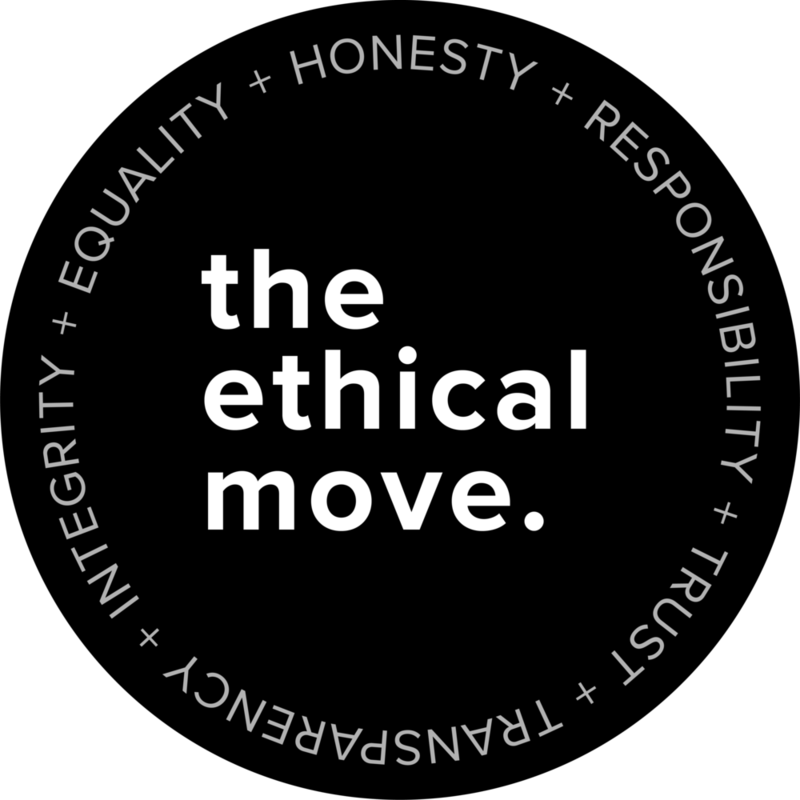 Sophy Dale Coaching is signed up to The Ethical Move. This is a campaign creating a new standard for marketing based on trust and honesty.